As the 29 March 2019 approaches, many crops harvested and livestock purchased now are likely to be sold to market after the UK has officially left the EU. Agricultural businesses should take the opportunity to review their financial position to understand the impact of change on their ability to operate sustainably. Few sectors in our economy will be as deeply affected by Brexit as agriculture. As the 29 March 2019 approaches, change seems to be the only certainty. One of the core principles of the UK government’s White Paper, the free trade area for goods (including agricultural goods), provides for zero tariffs to protect the complex supply chains the agri-food industry relies on. This is welcome news for the farming sector. However, the industry will be very aware that this is not the final position and there are many rounds of negotiation still to come. It’s difficult to predict how commodity prices will react to changes in tariffs and trade deals. Under a no-deal scenario, the sector could be faced with the prospect of high tariffs, onerous customs procedures and the loss of EU subsidies. Brexit could also open the UK market to lower-cost, more competitive producers such as the US, Australia and New Zealand, which could seriously impact the UK farming sector. Britain is not self-sufficient in its food production, and an alternative scenario is that Brexit could boost prices for anything home-grown. Either way, increasing volatility and unpredictability in prices is probably the most likely outcome. Unless we face a no-deal scenario, the transition period until December 2020 will delay any potential significant changes, but beyond 2020, the picture remains unclear. A five to ten per cent reduction in sales (output) prices: prices could reduce if UK producers are faced with added competition from cheaper imports, for example. A five to ten per cent increase in costs (input) prices: farmers could face higher labour costs and higher import costs for raw materials, as many goods are traded in euros. A reduction to agricultural support schemes: Some form of subsidy is likely to continue, but in what form, and how much support will be given, is unclear. In the meantime, the UK government has stated that farmers will continue to receive the same level of subsidy as they do under the CAP until the end of 2022. Brexit aside, the conditions of the CAP were scheduled for review by Brussels in 2020 anyway. The UK government’s White Paper sets out its vision for a better functioning CAP policy that will focus on improved environmental outcomes and improve agricultural productivity, but more detail is needed. An Agricultural Bill is expected in the second half of this year and may provide some of this. The shape and design of the support will be closely watched – we know that many farmers would not be able to survive without some form of support. Ready access to labour is another area that is top-of-mind for the sector. The National Farmers Union (NFU) estimates that 99 per cent of seasonal labour is provided by EU workers – and the industry is already seeing a drop-off in those wanting to come to Britain. The British Summer Fruits trade body warned recently that its members are seeing a 10 to 15 per cent shortfall in labour and expect this to increase to 30 per cent by the autumn. In reaction to the White Paper, farming unions have repeated their call for an immigration policy to be designed based on what businesses need. The season’s dry weather has highlighted far more immediate concerns than Brexit. The heatwave has put pressure on forage stocks, leaving many farmers worried about how to feed their livestock through the winter. The heat is likely to have a knock-on impact on farmers’ cash-flow, with concern about potentially disappointing yields. Livestock farmers will be relying on cereal crops to supplement winter fodder and with the shortage of grass to make silage, additional fodder, if available, will need to be bought in. A reduction in yield, although prices are holding up, is likely to affect profitability and cash-flow. 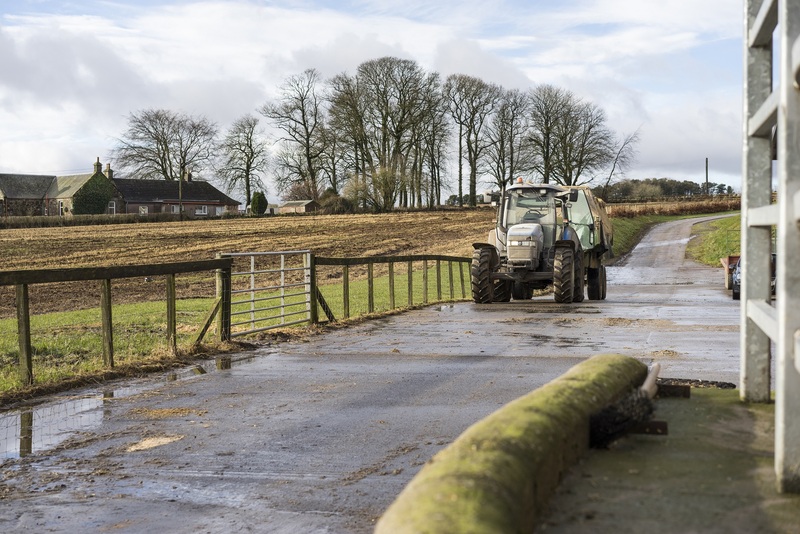 Although the hot, dry weather across the UK is preoccupying many farmers now, as the 29 March 2019 draws closer, farmers face a balancing act between addressing immediate problems and planning for the future. For more information or to discuss how Brexit will impact your agricultural business please get in touch with me, Robin Dandie, or another member of our agriculture team. Landowners and tenant farmers across Scotland’s diverse agricultural sector believe that selling prices, input costs and Brexit will have the biggest impact on agribusiness over the next 12 months, according to the results of our recent survey. Brexit: What next for Scottish Farming? Robin Dandie, Head of our Agriculture sector, shares his thoughts on Common Agricultural Policy (CAP) reform in a post Brexit landscape.